MACAO (May 31, 2014) – Two-time Chinese Olympic gold medallist and national icon ZOU SHIMING and undefeated unified junior featherweight world champion and Cuban sensation GUILLERMO “El Chacal” RIGONDEAUX will headline Champions of Gold – world championship boxing’s return to The The Venetian® Macao's Cotai Arena.Promoted by Top Rank® and Sands China Ltd., in association with Tecate, PS4, Caribe Promotions and Foreman Boys Promotions, Champions of Gold will take place Saturday, July 19. Tickets for Champions of Gold are on sale now and can be purchased via Cotai Ticketing™; prices start at HKD/MOP 80, with ferry and hotel packages also available.Featherweight Fury ticketholders will want to act fast to take advantage of a 30 per cent early bird discount*, available for three days only, until June 2 (HKD/MOP 80 tickets excluded). Rigondeaux will be defending his titles against top-five contender and two-time world title challenger SOD LOOKNONGYANTOY of Thailand. The undercard will feature former three-time world champion BRIAN VILORIA, undefeated NABF/NABO super middleweight champion GILBERTO “Zurdo” RAMIREZ, 2012 Russian Olympic gold medallist EGOR MEKHONTSEV, plus local favourites REX “The Wonder Kid” TSO, IK YANG and “The Macao Kid” NG KUOK KUN, each in separate bouts. 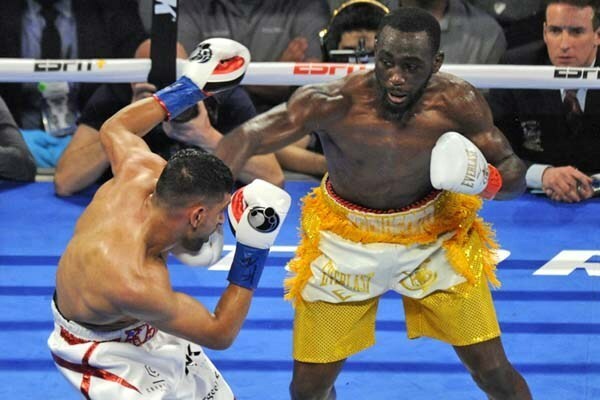 Zou (4-0, 1 KO), from Guizhou, China, and trained by Hall of Famer Freddie Roach, won his professional debut April 6, 2013 at Fists of Gold, via a dominant four-round unanimous decision over gritty Eleazar Valenzuela. He followed that up with six-round unanimous decision victories last year over Jesus Ortega and Juan Toscano July 27 at Fists of Gold II and November 24 at The Clash in Cotai, respectively, and celebrated his 2014 debut with his first professional knockout February 22 at Ring of Gold, stopping Yokthong Kokietgym in the seventh round. All of his professional bouts have taken place at the Cotai Arena. One of the most popular Olympic athletes in China, Zou was the world's greatest amateur light flyweight, capturing gold medals in the World Amateur Championships in 2005, 2007 and 2011, along with gold medals in the 2008 and 2012 Summer Olympic Games. He also owns an Olympic bronze medal from the 2004 games, making him his nation's first Olympic medallist in boxing as well as its first boxing gold medallist in the World Amateur Championships and the Olympics. 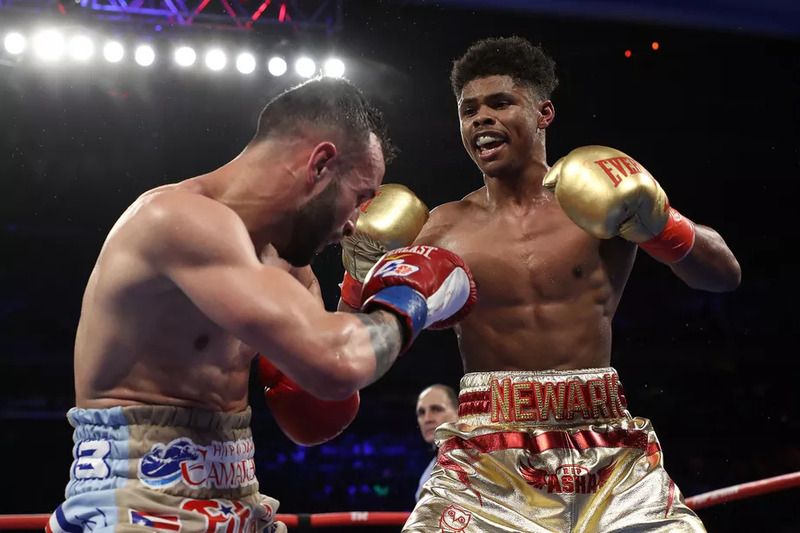 He will be graduating to a 10-round bout against an opponent who will be named shortly, taking Zou one step closer to a world title challenge. Rigondeaux (13-0, 8 KOs), of Miami, Florida, returns to the ring making his 2014 debut. 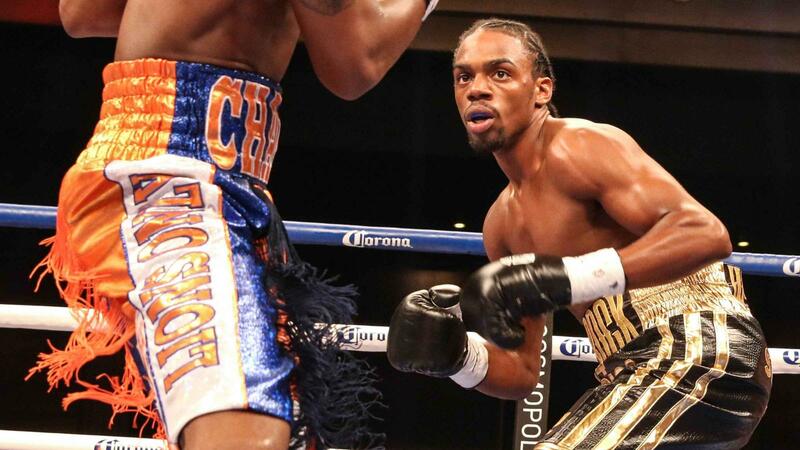 Last year he unified the World Boxing Association (WBA) and World Boxing Organization (WBO) 122-pound titles by defeating 2012 Fighter of the Year Nonito Donaire April 13, 2013, at a sold-out Radio City Music Hall in New York. Rigondeaux thoroughly dominated Donaire via a unanimous decision victory, ending his 12-year, 30-bout winning streak, as well as claiming his WBO junior featherweight title. Rigondeaux had a stellar amateur career, winning Olympic gold medals in 2004 and 2000, World Amateur Championship titles in 2005 and 2001, and Pan American Games gold medals in 2005 and 2003, all at 119 pounds, before leaving Cuba to embark on a professional career which began in Miami in 2009. In only his seventh professional fight where both fighters scored knockdowns, Rigondeaux captured the WBA interim super bantamweight title, winning a tough split decision over the vastly more experienced former world champion Ricardo Cordoba in 2010. After successfully defending the interim title in 2011 with a first-round knockout of previously undefeated former European super bantamweight champion Willie Casey, Rigondeaux won the WBA world super bantamweight championship with a sixth-round knockout of previously undefeated defending champion Rico Ramos January 20, 2012. Rigondeaux has successfully defended that title four times since then, blasting once-beaten Teon Kennedy in the fifth round, which included Kennedy suffering five knockdowns en route to the loss, and winning a dominant unanimous decision over once-beaten contender Roberto Marroquin, both in 2012, besting Donaire in their April 2013 title unification fight and most recently, defeating former two-time world champion Joseph Agbeko December 7 via a dominant unanimous decision. Looknongyantoy (61-2-1, 25 KOs), of Srithep, Thailand, has twice challenged for the WBO junior featherweight, losing to Daniel De Leon both times, in 2005 and 2006. Since then he has fashioned an eight-year, 35-bout unbeaten streak, which has included Asian, WBO Asia-Pacific and WBA Pan Asian 122-pound title victories. He is currently world-rated No. 5 by the WBO and No. 8 by the WBA. Viloria (32-4, 19 KOs), from Waipahu, Hawaii, was a 2000 U.S. Olympian. He captured his first world title in 2005, knocking out Eric Ortiz in the first round to become the World Boxing Council (WBC) light flyweight champion. He held the title for nearly one year before losing it. In 2008, he captured the International Boxing Federation (IBF) junior flyweight title, knocking out Ulises Solis in the 11th round. After losing the title in his second defence the following year, Viloria moved up one weight division and captured the WBO flyweight title via unanimous decision over Julio Miranda in 2011. The following year, he unified the title with a 10th-round knockout of WBA champion Hernan Marquez. 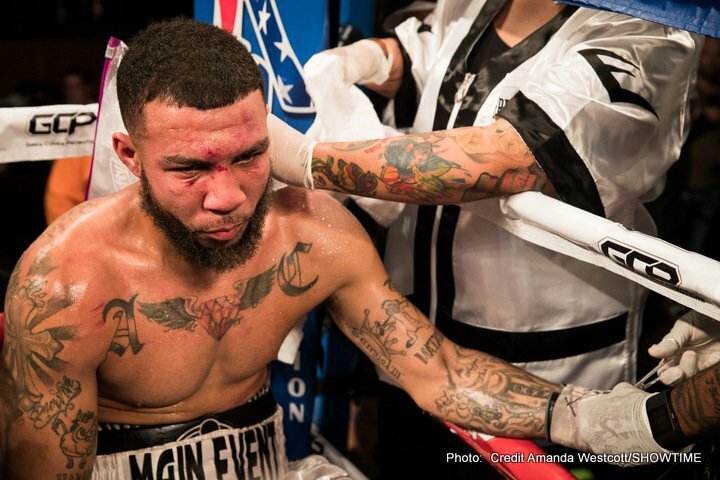 He lost the titles on the Fists of Gold II card, losing a split decision to Juan Estrada. Ramirez (28-0, 22 KOs), of Mazatlan, Mexico, is world-rated No. 2 by the WBC, No. 3 by the WBO, No. 6 by the WBA and No. 7 by the IBF. 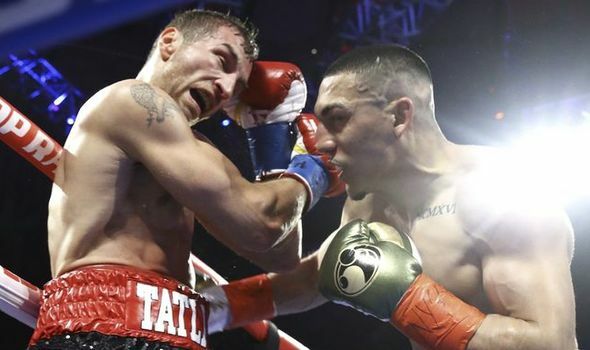 A sensational young contender, Ramirez, 22, has won both his 2014 bouts by knockout. 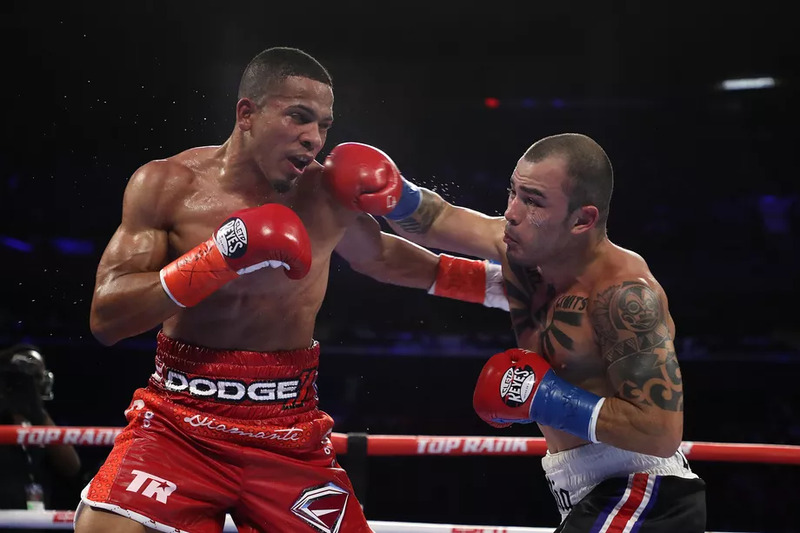 In his last outing, April 11, he captured the NABF and NABO super middleweight titles via a fifth-round knockout of two-time world title challenger Yovanny Lorenzo. Mekhontsev (3-0, 3 KOs), of Asbest, Russia, won his pro debut last December 4, knocking out Peter Cajigas in the third round. On February 22, Mekhontsev made his Cotai Arena debut at Ring of Gold, knocking out undefeated Jaritram Atthaporn in the second round. 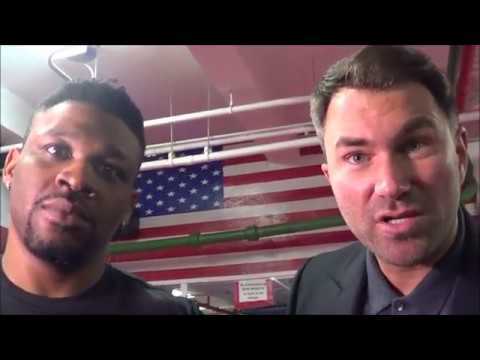 His most recent fight was a third-round stoppage of Dwayne Williams April 11. Trained by his father Leonid, Mekhontsev captured the Olympic light heavyweight gold medal at the 2012 Summer Olympic Games and as a heavyweight he won gold at the 2009 World Amateur Championships and the 2010 and 1008 European Amateur Championships. Hong Kong’s Tso (12-0, 8 KOs), the undefeated WBC Asian super flyweight and WBO Asia Pacific junior bantamweight champion recently named 2013 WBC Asia Prospect of the Year, Yang (13-0, 8 KOs) of Dalian, China and local favourite Ng (4-0, 2 KOs) will be featured in separate bouts on the undercard against opponents who will be announced soon. Tickets to the July 19 Champions of Gold can be purchased at all Cotai Ticketing box offices*, and are available in seven categories, ranging from HKD/MOP 80 to HKD/MOP4,680. HKD/MOP 88 adds a round trip Cotai Water Jet ferry ticket between Hong Kong and Macao (HKD/MOP 80 tickets excluded). Tickets can be booked online atwww.cotaiticketing.com, or by phone at +853 2882 8818 (Macao) / +852 6333 6660 (HK) / 4001 206 618 (China) / +63 2 395 3370 (Philippines). Tickets are also available through Hong Kong Ticketing (customer service fee applies), online at www.HKTicketing.com or by phone at +852 3128 8288, and via Macao Kong Seng Ticketing Network, online atwww.macauticket.com, by phone at +853 2855 5555, or in person at selected retail outlets (for locations, visit www.macauticket.com/TicketWeb/ServiceStations.aspx). Hotel packages including two tickets and one night’s accommodation at a choice of The Venetian Macao-Resort-Hotel; Conrad Macao, Cotai Central; Sheraton Macao Hotel, Cotai Central; or Holiday Inn Macao Cotai Central are also available for purchase starting at HKD/MOP 3,800† through Cotai Ticketing.